Lisa was about to explode. Her husband of 8 years came home early from work, plopped down on the couch and asked, “what’s for supper?” After a full day of caregiving for her 18 month old and kindergartner, she was tired and stressed. And his first communication with her was one that really pushed her buttons. Full body attention is how we tell our spouse they are the most important and highest priority in our world in that moment. As an intelligent leader who had held her own in a corporate job before focusing on raising children, she knew she would have a better chance of telling him how she feels if she kept her emotions in check. So she asked him if they could talk and began telling him about her stressful day of caregiving. In the middle of her report she realized that his eyes were moving from the television to his phone and back to the television. He was facing the television and rarely turned his head toward her face. And she felt like she was not being heard. What Lisa wanted more than anything else in that moment was to experience what we call “full body attention”. She wanted him to show her in every way possible that she had his undivided attention. She wanted to know that there was nothing in the world more important or of a higher priority to him than what she had to say. Full body attention is not a military salute or some new sexual description. It is the process of physical turning and fully facing our spouse. It includes turning off or pausing devices like cell phones and televisions, making direct eye contact, and moving close (within arm’s reach) to our spouse. Full body attention is the means by which we communicate unequivocally an unambiguously that what our spouse is telling us is the most important and highest priority in our world at that moment. On our Life Together Forever couples weekends and in our Marriage Intensives, we actually have couples sit in chairs that are strategically placed in the formation we call the “Couples Communication Chairs.” It is a very specific chair placement that elicits full body attention. It also is an easy way for each spouse to know that the discussion and information is important. Although they are not common today, chairs were manufactured for hundreds of years to help couples have intimate conversations. First reportedly called, “Tete-a-tete” chairs (French for “face-to-face”) antiques are sold today as “Conversation” or “Courting ” chairs. Whatever you call them, your marriage needs more full body attention! In our experience working with thousands of couples, we have been amazed to see couples in struggle be able to sit in this configuration, show each other full body attention, and work toward a future together. 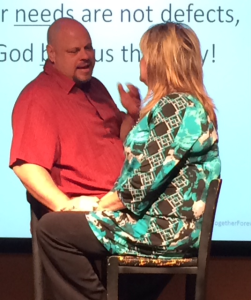 They have shared how they were able to have the conversation they never thought was possible because each spouse gave the other full body attention. We have seen tears and angry facial expressions turn into affectionate touching, hugging and kissing. 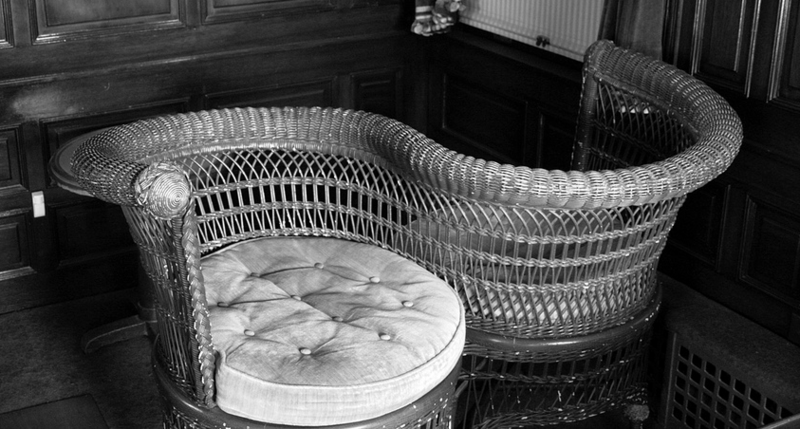 If you run into these antique chairs, send us a picture of you two sitting in them. And next time your spouse begins telling you something, try giving them the full body attention you know that your relationship really deserves. Let us know how it goes!